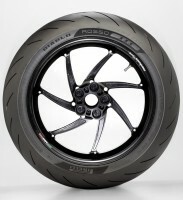 The two Italian brands created a special version of the latest naked from the Schiranna-based company which selected the brand new Pirelli tyres as original equipment for this model. 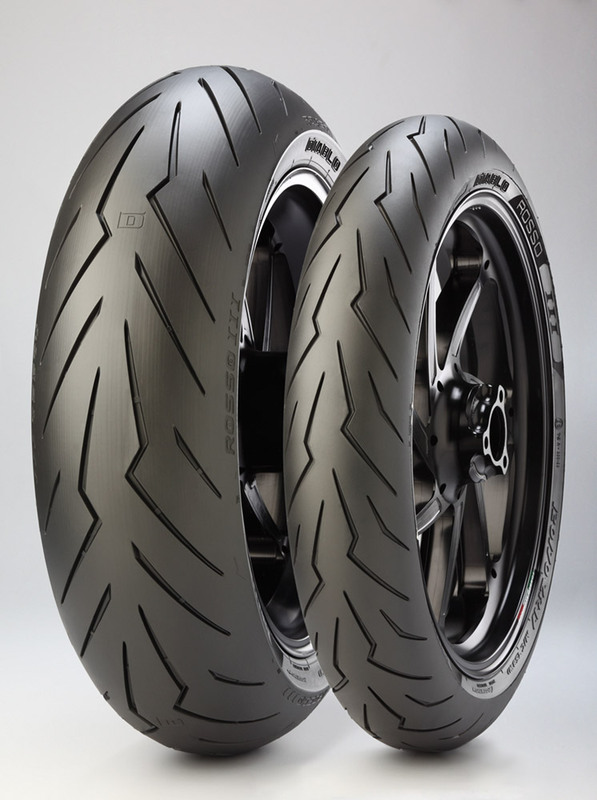 “Diablo Brutale”, as this single unit has been renamed, is a tribute to design, craftsmanship, sportiveness and high technology of the latest supersport tyre of the DIABLO™ family. 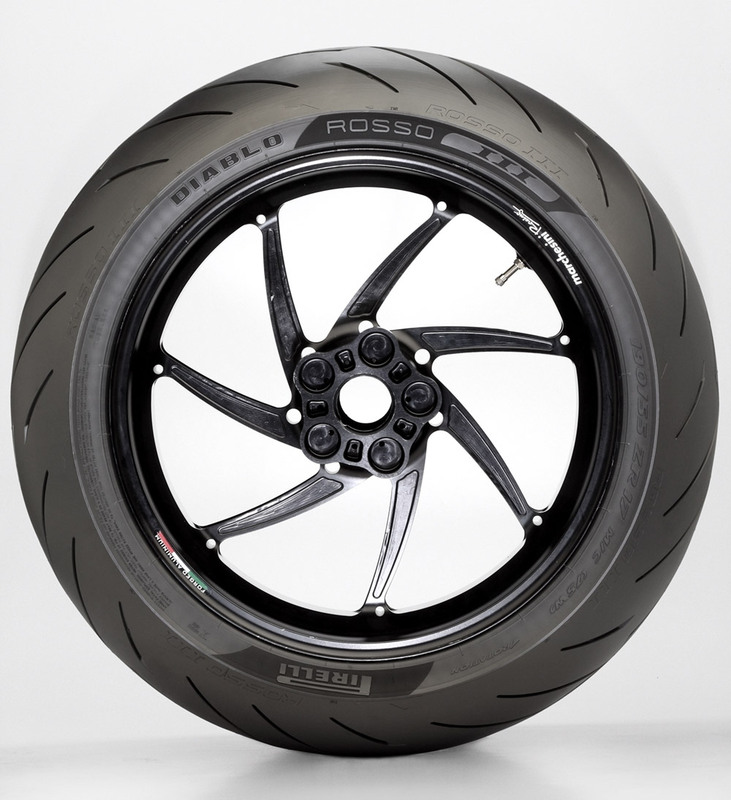 Pirelli and MV Agusta have been working together for several decades and, since 2011, the historic Italian motorcycle manufacturer has decided to rely only on the brand of the elongated P symbol to equip all its models. 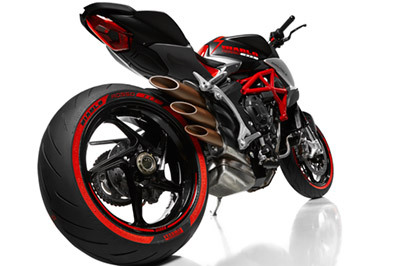 Pirelli and MV Agusta are both well-known and appreciated brands all over the world: they have managed to make design and showcase ‘Made in Italy’. 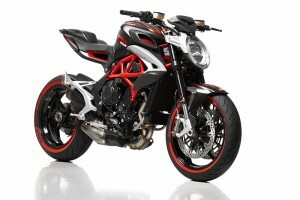 They combine maximum sportiveness and innovation, their core values which are recognised by all motor fans and, in this specific case, by motorcycle lovers. 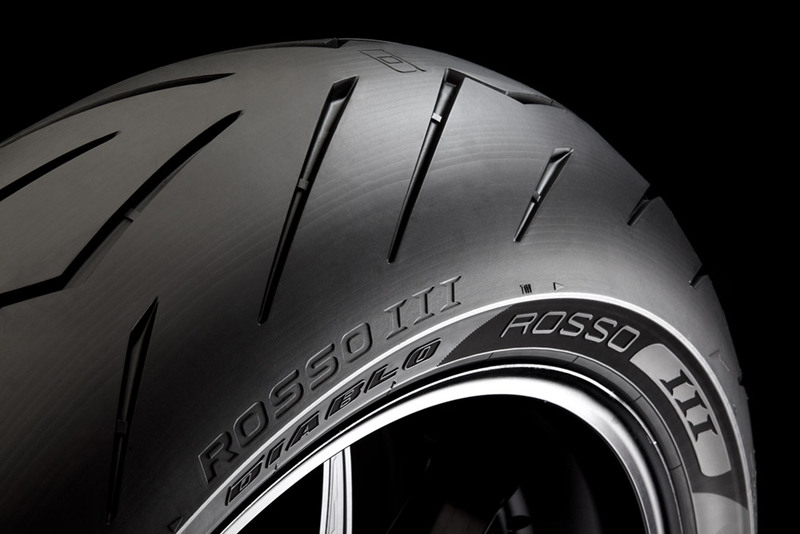 On the one hand, the last technological evolution of the DIABLO™ range, the DIABLO ROSSO™ III, which is the new supersport tyre from Pirelli, born from the track to the road, redefining the concept of sports riding taking it to the new level. Its strong points are sports handling, a high level of grip also in the wet and with long lasting performance. On the other hand the Brutale 800, a motorcycle whose original project dates back to 2001 and that – year after year – was renovated in its style and spirit, to remain loyal to itself, and to its ability to amaze and conquer new generations of enthusiasts. 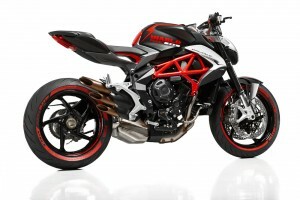 The new Brutale 800 is an example of Made in Italy technology that has dictated new design guidelines in its segment. The Diablo Brutale is a single unit of the new MV Agusta Brutale 800 which was born as a tribute to design, sportiveness and high technology of the last supersport tyre of the Pirelli DIABLO™ family, which was chosen as original equipment for this machine. It also celebrates the historical partnership between Pirelli and MV Agusta, two companies which have long and worldwide appreciated traditions in the motorcycling world. Diablo Brutale presents an attractive matt black color which is interrupted only by a luminous red as a reference to the tyre logo. MV Agusta has decided to pay homage to the new Pirelli tyre through some graphical elements. 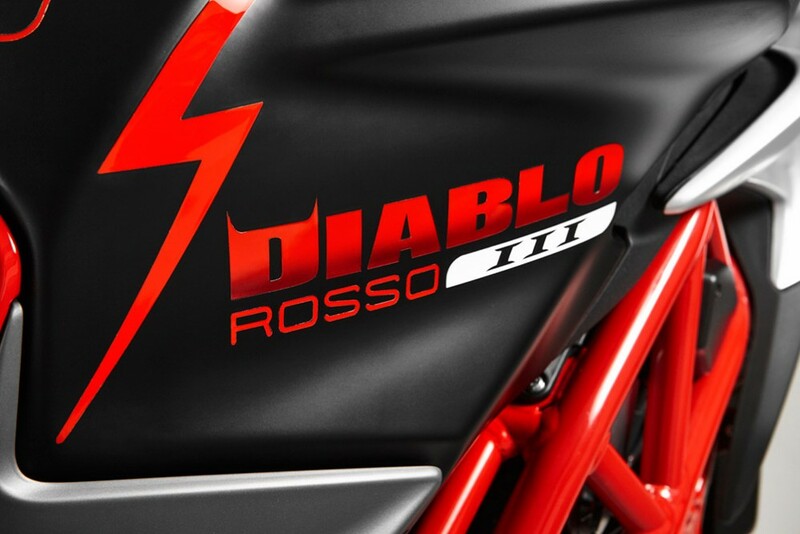 The DIABLO ROSSO™ III logo appears on the tank’s side, while the typical ‘thunder’ groove of the tread pattern, which represents a tyre’s trademark, appears on the tank as well as on the front fender plus both sides of the tail. 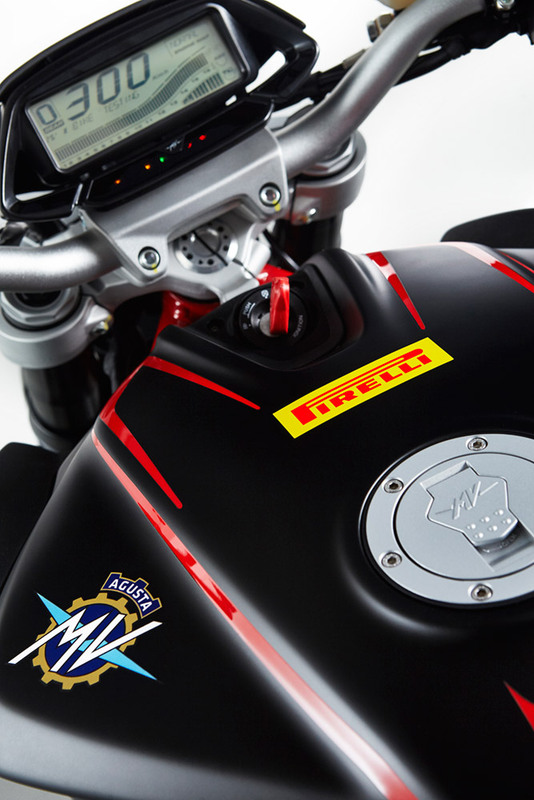 Both the Pirelli logo and the red “D” of DIABLO™ appear next to the MV Agusta logo on the top of the tank. 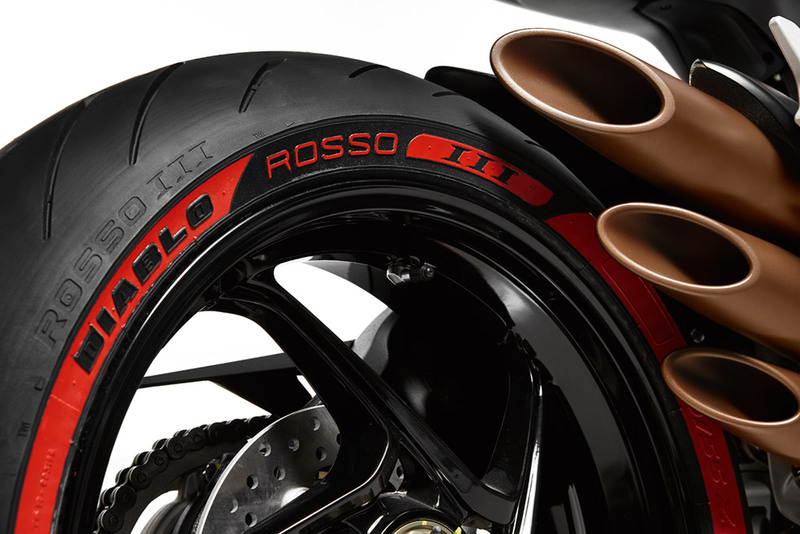 Pirelli has decided to equip this special with a set of DIABLO ROSSO™ III with a red color dedicated graphic, just like the details that give the Brutale the unique spirit of the Diablo. With the new Brutale 800, MV Agusta questioned the style, engine, equipment and chassis of the previous model with a unique goal: giving birth to the best Brutale ever. 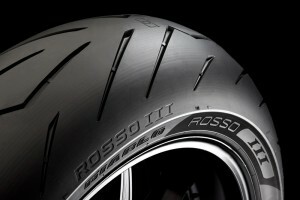 The same goal achieved by Pirelli with the development of the DIABLO ROSSO™ III, the direct descendent of the renowned and highly rated DIABLO ROSSO™ II, which raises the bar of sport riding even higher than the previous model and extends the qualities of its predecessor, strengthening its features in terms of handling and grip, with long lasting performance.